There was a book launch. I have forgotten the names of both book and author, but clearly remember it was attended by the late, great Seán Mac Réamoinn, raconteur, theologian and teacher of us all. There was, of course, much laughter, but Seán’s mischievous phrase epitomised for me a most important part of the unique contribution the Columba Press made in discussions relating to church, morality and religion over three decades. It published as it saw fit, seeking no imprimaturs from anyone, and I believe that this openness to diverse writers, particularly new and would-be ones, gave many, and especially many lay people, the opportunity to join in those discussions at a time when virtually all other avenues were closed to them. In particular I believe that its hospitality to women writers mattered greatly. Through that hospitality many women found their voices. I experienced this at first hand because in 1994 Columba published a small book of two-minute reflections of mine which I had written for radio and TV, and on the strength of that publication I wrote another, this time plucking up the courage to question some of the thorny issues of the day with regard to women’s place – or lack of it – in church affairs. Following on the acute disappointment felt by many at the lack of renewal in the church after Vatican II, to which so many had contributed willingly and generously of their time, energy and financial resources, Columba was a lifeline. And the diversity of both the titles of the books and their authors is impressive: lay, religious, priests, poets, theologians, artists; believers of differing faiths and of none. For many Columba’s hospitality was invaluable. Included in the hospitality extended by all the Columba team must be the input of the late, great, Bill Bolger, book designer par excellence. Despite the old adage that one should never to judge a book by its cover we oftentimes do just that; size, shape, format, the very feel of a book in one’s hands may well decide as to whether or not a purchase is made. Bill’s work was beautiful; artistic and thought-provoking, and I for one was never disappointed on first sight of the finished product. No writer or would-be writer could ask for more. And I doubt that I am alone in this observation. Teilhard de Chardin, in The Phenomenon of Man, says “nothing can go on if we leave the table”. It seems to me that Columba Press enabled many to remain at the table when they might very easily have left, dejected. Finally, I once heard a theologian say that one of the most Christian things a person can do for others is “to help them into the driving seat, since only they know what is best for them”. Columba Press and Sean O’Boyle lived that Christian ministry to the full. In light of the many scandals within the church with which we are all struggling today it is hardly surprising that they felt they must fold their tent. But for three decades it did more than its bit, and for this writer, and I imagine for many others, there is a real sense of loss, as well as of gratitude. Betty Maher is a retired writer and broadcaster. 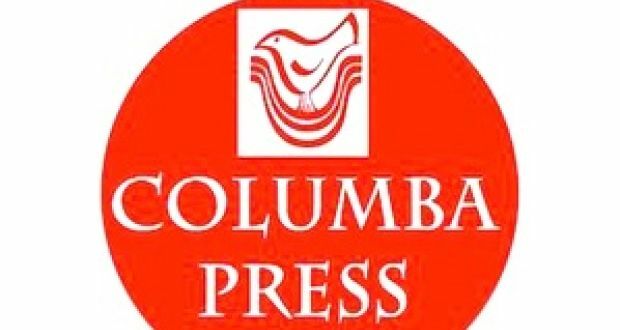 Columba Press went into liquidation earlier this year since when its assets and its imprint Currach Press have been bought by Grace Communications.